Food’ has been created from carbon dioxide and electricity, according to a team of scientists. The meal of single-cell protein may not revolutionise cuisine but it could open a way for a new type of food in the future. The Food From Electricity study, funded by the Academy of Finland, was set up with no less an aim than to alleviate the world hunger. 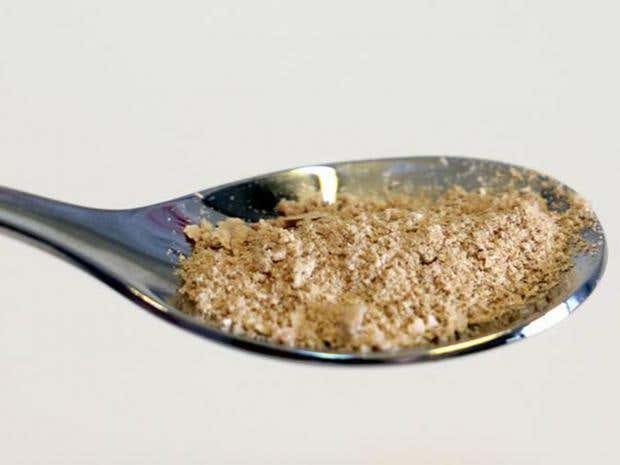 Using carbon dioxide taken from the air, researchers from the VTT Technical Research Centre of Finland and Lappeenranta University of Technology (LUT) succeeded in creating a protein powder, which could be used to feed people or animals. 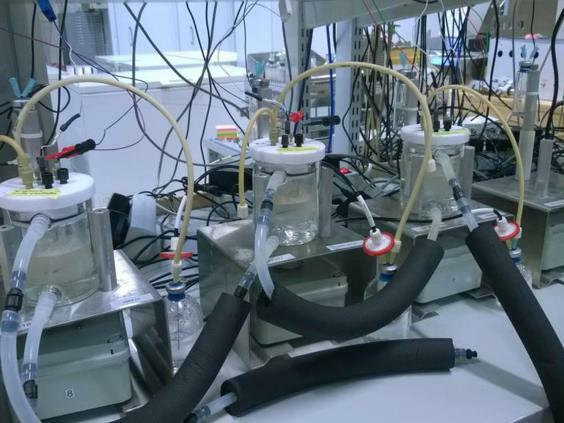 The “protein reactor” can be used anywhere with access to electricity. If it was used as an alternative animal feed, this would allow land to be used for other purposes such as forestry or more crops for human consumption. Although the technology is in its infancy, researchers hope the “protein reactor” could become a household item. Juha-Pekka Pitkänen, a scientist at VTT, said: “In practice, all the raw materials are available from the air. In the future, the technology can be transported to, for instance, deserts and other areas facing famine. According to the researchers, the process of creating food from electricity can be nearly 10 times as energy efficient as photosynthesis, the process used by plants. Mr Pitkänen said the powder was a healthy source of protein. “In the long term, protein created with electricity is meant to be used in cooking and products as it is. The mixture is very nutritious, with more than 50 per cent protein and 25 per cent carbohydrates. The rest is fats and nucleic acids. “The consistency of the final product can be modified by changing the organisms used in the production,” he said. The scientists also stressed that the reactor could produce food with no environmental impact if the electricity used is derived from renewable sources. Professor Jero Ahola of the LUT said only fertiliser-like nutrients were used in the process which avoided “any environmental impacts, such as run-offs into water systems or the formation of powerful greenhouse gases”. But before cattle or humans can be fed with the protein, the technology needs to be made much more efficient.